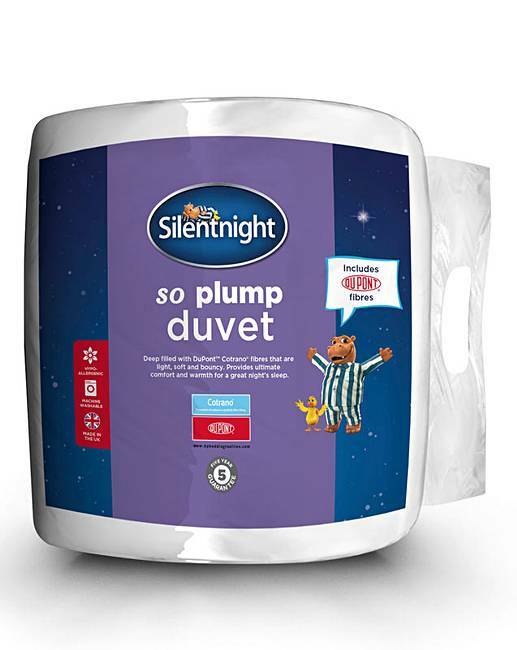 Silentnight So Plump 10.5 Tog Duvet is rated 5.0 out of 5 by 1. 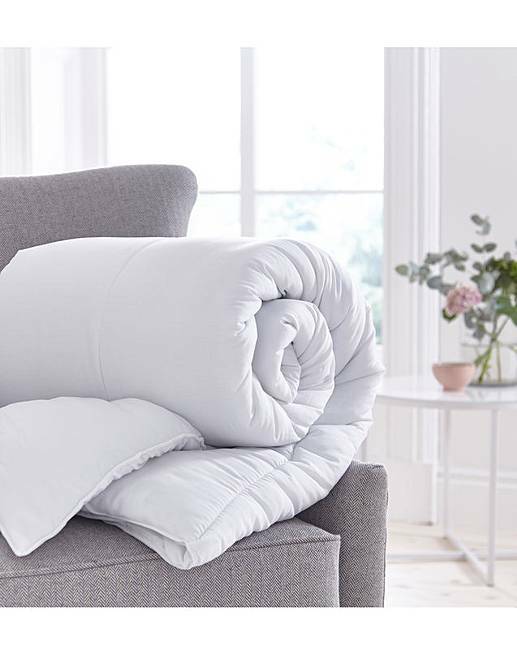 Enjoy many nights of comfortable sleep with this light, soft and bouncy duvet. Deep filled with DuPont Cotrano fibres to provide comfort and warmth. Cover: Polyester. Filling: Polyester Hollowfibre. Rated 5 out of 5 by Glt150 from Lovely quilt Bought this a couple of weeks ago and wasn't disappointed. It's very good value for money and very warm for a 10.5 tog, very happy with it.